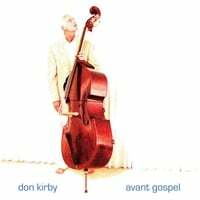 Don Kirby is a jazz bassist and gospel songwriter. He studied privately with recording artist Gary Peacock and has performed with several jazz and gospel groups in the Seattle area. He has recorded two albums with The Gospel Roadhouse Band. Avant Gospel is Don's first album as leader of The Avant Gospel Group. May the Spirit of God touch your Spirit as you listen. "Avant Gospel" Reviewed by RadioIndy.com!